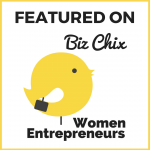 Are you discouraged because your small business is not performing as you had envisioned? Are you stuck and confused about how to turn things around? Do you tell people everything is wonderful when inside your stomach is churning because you know it isn’t true? This book will help you identify where the holes are in your business and show you EXACTLY how to fix them. You’ll learn from owners just like you who are seeing real success, growing their companies and living their dream. Think back to when you were so excited about starting your own business. Remember how you felt about getting your product out into the world and making money doing what you love. This was the plan to achieve a lifestyle of freedom and pride. Let’s get you back on track with that vision. 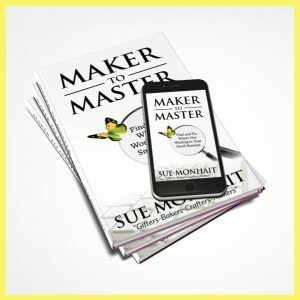 Maker To Master is specifically for “Gifters-Bakers-Crafters-Makers” addressing the unique challenges you face. 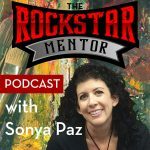 It’s time to re-ignite the passion you once had for your business. Don’t continue spinning your wheels with little to no progress. Your answers are right here and, once discovered, can be surprisingly easy to implement. "This book is a small business roadmap for creative entrepreneurs. In each chapter, Sue highlights a specific business concept that she brings to life through real-life stories and application. You will discover new strategies that you can immediately apply to your business. Definitely a MUST READ!" “Maker To Master will fast track creative business owners straight to success. 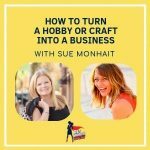 Sue Monhait is a successful product entrepreneur and has worked with numerous other gifters, bakers, crafters and makers. Sue’s friendliness and enthusiasm shines through the pages and she is able to cover important business topics in an approachable and memorable way by weaving in her own stories and those of her clients. “Sometimes it’s hard to read books about business. 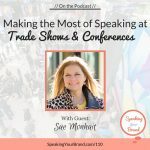 We either feel the content and advice is not really applicable to us and we need to finangle the strategies to make them fit our business model, or we get overwhelmed with just how much we need to do. Or both. This is NOT that book! 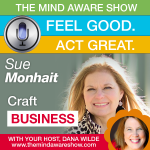 Sue Monhait does a MASTERFUL job of addressing the creative product makers market. Her book is not only easy to read and digest, but also helps the reader to understand she is not alone. That the frustrations and challenges she is facing have been faced – and overcome – by others, and that there is a clear step by step path to success! If you know your business has way more potential than your bank account is reflecting, then this book is for you.